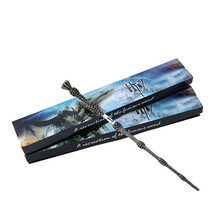 About La Sante Wizard Wand Potter Makeup Brushes? GIFT SET MAKEUP CHOOSE – Comes with 5 Brushes and Carrying bag Unique design of the handle brings the layering feeling of the visual, with the glittering appearance, it is more attractive to choose.Suitable for individual use or as a gift to your families or friends. BEST GIFT – for your mother in mother date, your girl friend, your birthday friend… especial in Christmas. 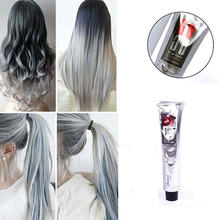 The touch is very soft and Brush grasp powder is fine.Weight is 135g/set. Foundation blending brush: Smooth foundation application made easy. Eyeshadow brush: Apply eyeshadow for quick and even coverage. Contour brush: Even application of color on your cheeks. Eyebrow brush: Creates precise lining. Can be used with gel, cream or powder liners. Lip brush: Precision of color on the lips. Wipe off excess makeup left on brushes after each use. Use a soft cloth or tissue and take care not to pull on the bristles too roughly. Store your brushes in a case to keep them dry and prevent dust build-up. Keep your brushes in a flat or upright position when storing to maintain their shape. Clean brushes regularly using a special cleaner or a combination of warm water and mild shampoo. Reshape the bristles after washing. Apply a small amount of shampoo to bristles and work into a light lather. Rinse bristles thoroughly under running water. You will notice that the water leaving the brush is tinted from old makeup.